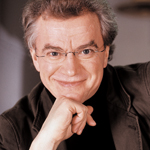 Finnish conductor and clarinettist Osmo Vänskä (b. 1953). Praised for his intense, dynamic performances, his compelling, innovative interpretations of the standard, contemporary and Nordic repertoires and the close rapport he establishes with the orchestral musicians he leads, Osmo Vänskä is the Minnesota Orchestra’s tenth music director. Classics Today: "A terrific release". Classics Today: outstanding; Klassik Heute: outstanding.